We pulled together some of our favorite pictures from our time in Liverpool, Chester and London to share with you. The Liverpool trip allowed us the opportunity to learn about John Moores University and the many programs they offer. We learned about the common interests we have with the students attending LJMU. Our research projects and on site presentations helped us to understand and share the characteristics of particular elements of life in Liverpool from many different perspectives. We learned that although we share a common language there are many different expressions that were both puzzling and enlightening for us. 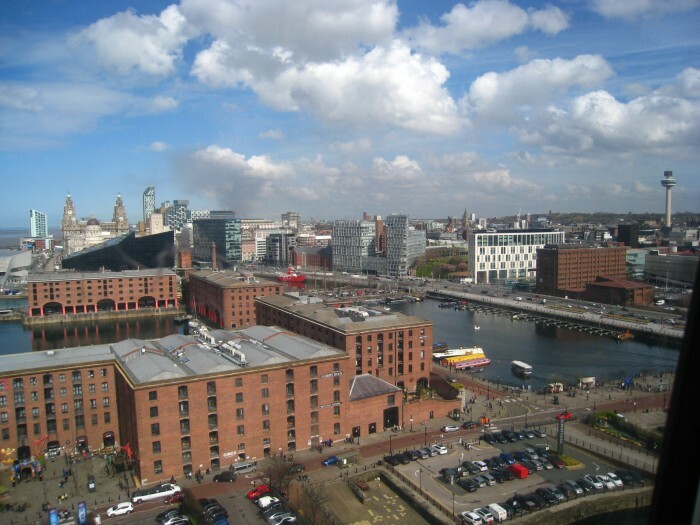 We saw the success that Liverpool has undertaken in transforming itself into an excellent destination for tourism and special events and we had the opportunity to experience a wide variety of foods, culture and recreational opportunities. We also learned about our fellow SCSU students by spending twelve days together in a foreign land, supporting each other in many ways. The Hatties Hostel in Liverpool our modest home away from home! We never did figure this one out! 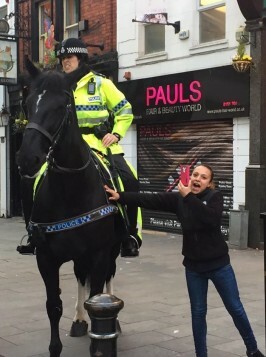 DeAsia shares a selfie with a horse! 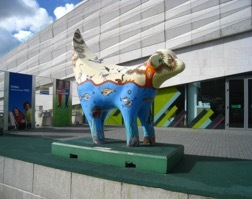 The famous Liverpool lambanana - as symbol of the gentleness (lamb) and craziness (bananas) of the Liverpool people. 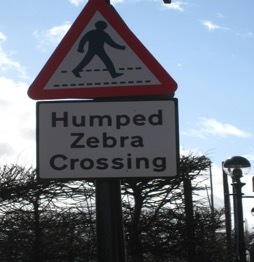 Also a warning about the dangers of genetic engineering! Happily heading to Heathrow and home! 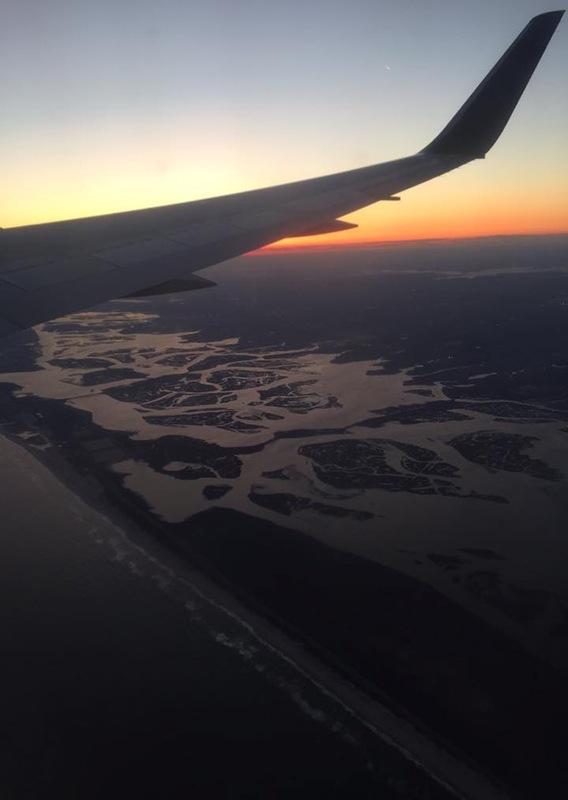 The friendly skies over the south shore of Long Island - we are home! And with that, we invite all of you to spend some time at Liverpool John Moores University in the years to come! The London Bridge is…. actually in Arizona! Westminster Abbey – the site of coronations and royal weddings. 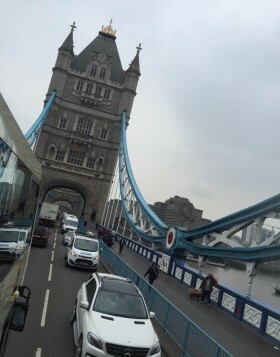 he Tower Bridge from the top of our tour bus – in the rain. 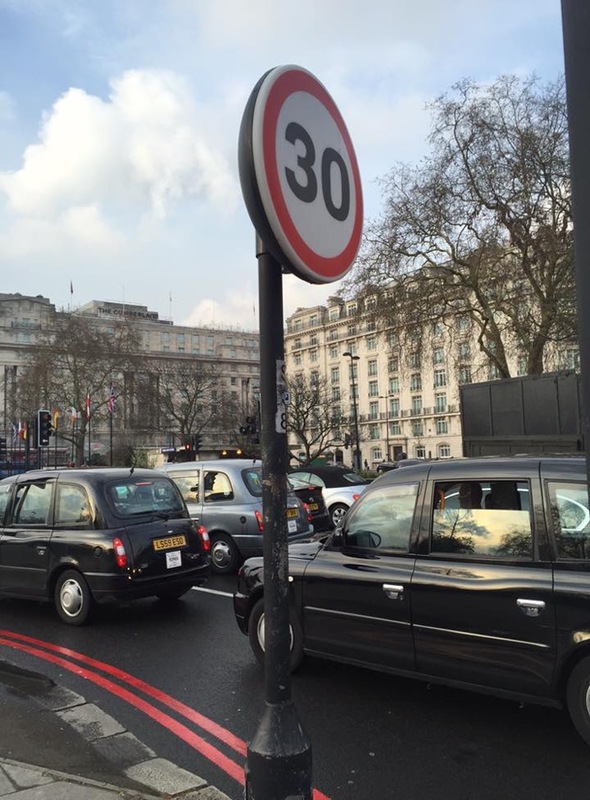 London traffic is non-stop. 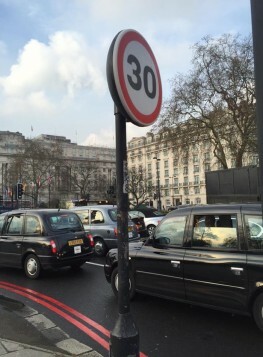 People have to pay an additional fee to drive their cars in certain parts of the city. 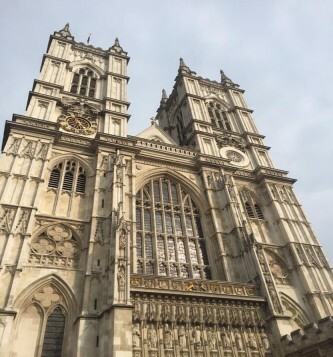 We were very happy to spend at least some time in London, a much bigger and busier place than Liverpool. Definitely deserves a return trip! For anyone old enough to have a vinyl record album, the name Liverpool brings to mind the Fab Four, the Beatles, and the impact they and other British Invasion groups had on popular culture in the second half of the 20th century. For those of us on the trip, although we couldn’t all name the four Beatles, we had heard of them from our grandparents and the occasional appearance of Paul McCartney on tv. 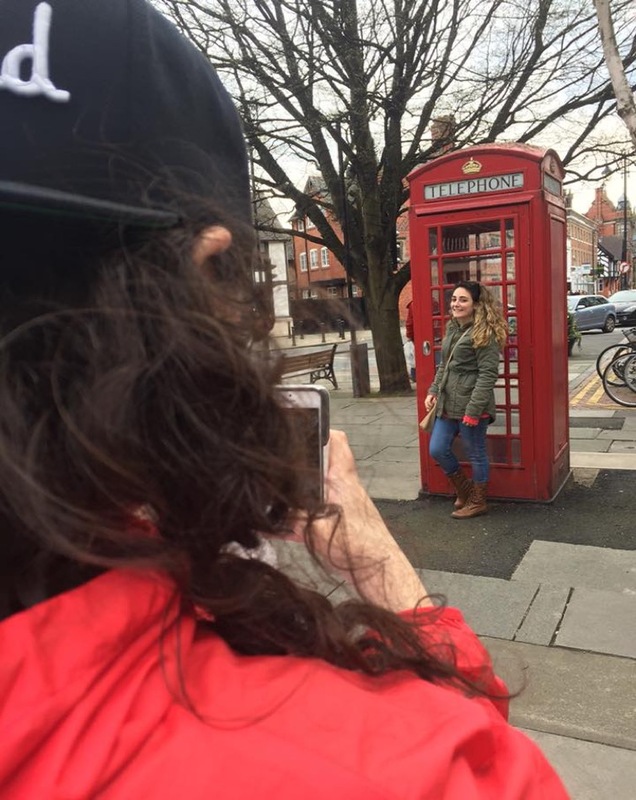 What we learned on the trip is the importance the Beatles had in bringing Liverpool out of the industrial era and into the 21st century as a cultural, event and tourism center for Great Britain. 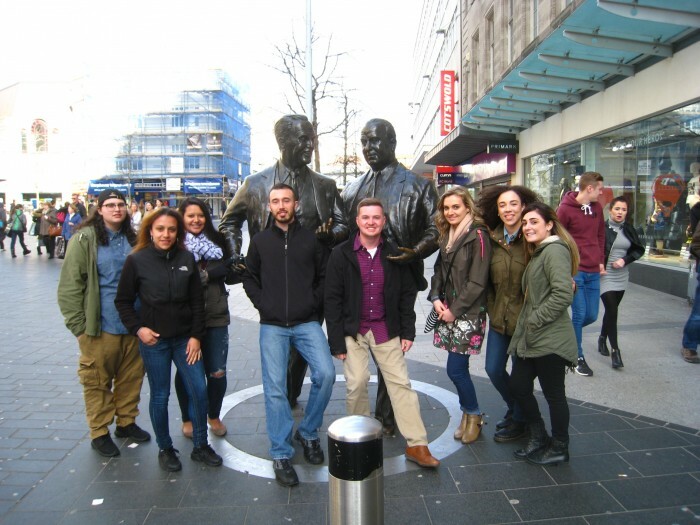 Although current Liverpool students listen to much the same music as American students, they all have a keen awareness of the role the Beatles played in Liverpool. From visiting the Beatles Museum we learned that the group first played music that they call “skiffle” which was American folk music including instruments like the banjo. They were conscious of the folk traditions of the US and added their own interpretation to the music. But what made a bigger impression was the music of black artists from the US south and cities like Chicago and Memphis that made its way to the Liverpool shores via the influx of black American soldiers during World War II. The Blues and Gospel music and something called rock and roll made the biggest influence on the Beatles as evidenced in their earliest recording of songs by black artists. 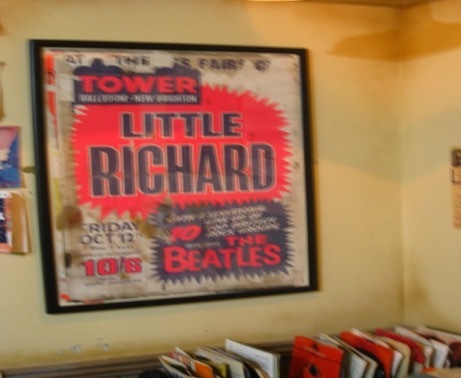 What the Beatles, and groups like the Rolling Stones, did was to introduce white America to the music of people like Little Richard, Chuck Berry and others who did not find a way to the mainstream audiences in America due to the segregationist attitudes in the US through the 1960’s. A Beetle parked outside of the boyhood home of John Lennon! Kristen took a novel approach to her Abbey Road photo! 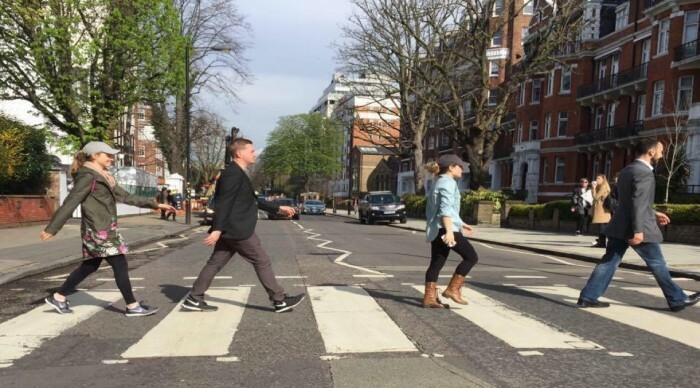 Dr. deLisle tried to help us understand the influence of the Beatles by saying that if Taylor Swift, Beyonce, Adele and Chris (Ed) Sheeran formed a band they still would not match the impact of the Beatles on American musical culture. 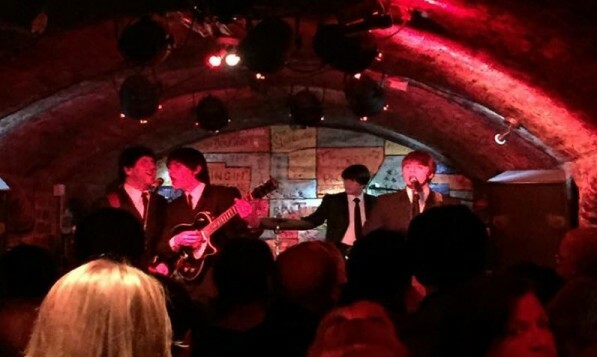 For one of our group members, Jim Russo, who graduated in 2015 and had participated in last year’s trip to Rome, his main motivation for joining the trip was to learn more about the Beatles and to see, hear and feel their presence in Liverpool. I have been a Beatles fan since I was about six years old. I studied their entire history, and knew every song at a very young age. 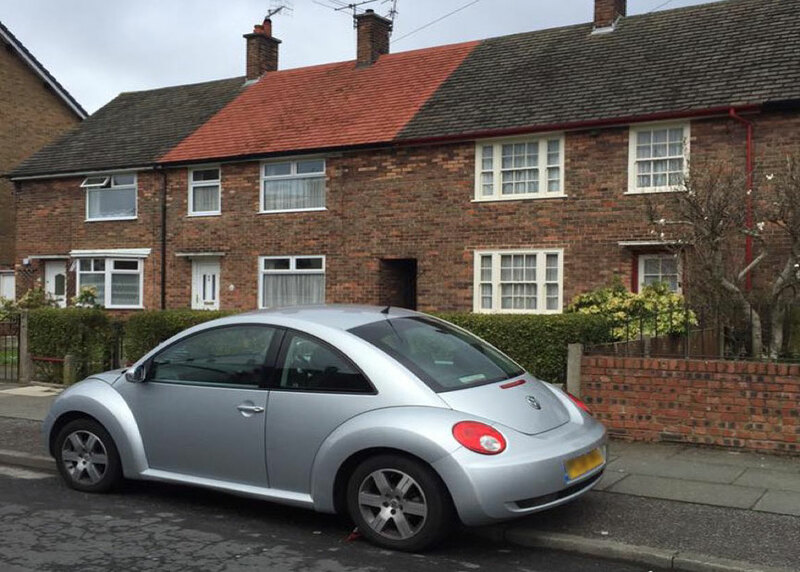 Ever since I can remember I have wanted to visit Liverpool, where The Beatles were born and became famous. I visited at Mathews Street, site of the Cavern Club, where The Beatles played their very first gigs together. 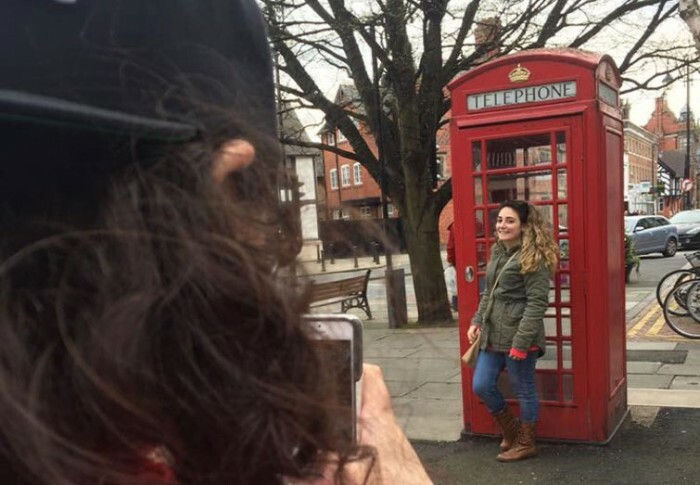 I went to the Beatles Museum twice! 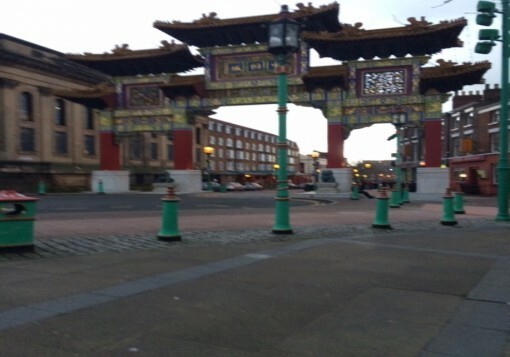 Before I left for this trip, I told myself that I would try and experience as much as I could while I was in Liverpool. Who knows when I will be back? Being the obsessive fan that I am, I “googled”, where some very important people related to the band were buried around Liverpool. I found out that their manager, Brian Epstein, was buried in Everton Cemetery, just a few miles down the road from Mathews Street, where the Cavern is located. The visit became quite an adventure getting bogged down in the mud in the cemetery in a hired cab. It all worked out and I even found a second hand store where I was able to buy some 45 rpm records of Beatles songs that were never released in the US. 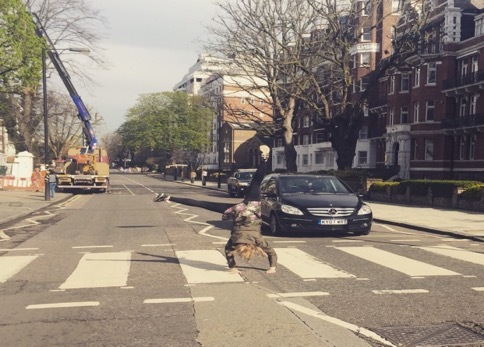 A final connection to the Beatles took place in our last days spent in London. At Jim’s urging we made an early morning trip to Abbey Road, the recording studio for the Beatles and the site of an iconic album cover that were looking forward to re-enacting. For the group, learning about the Beatles was an unexpected and very fun part of the trip! Our group was the guest of John Moores University at the Annual Grand National horse race at Aintree. It is a week of horse races, charity events and high fashion. It is a combination of the Kentucky Derby and a high school prom. Average citizens put on their best clothes and parade around the grounds usually with a pint of beer or glass of wine in hand. The races are exciting to watch and we did win a few quid on the races. But the greatest entertainment is watching the slow erosion of the crowd after a day of drinking in the afternoon sun. The local train authority actually hands out free flip flops to the women so that they can free themselves from their four inch stiletto heels in order to safely make it back to town on the trains. As always, the faculty from LJMU were very wonderful hosts and provided us with a unique look at social life in Liverpool. 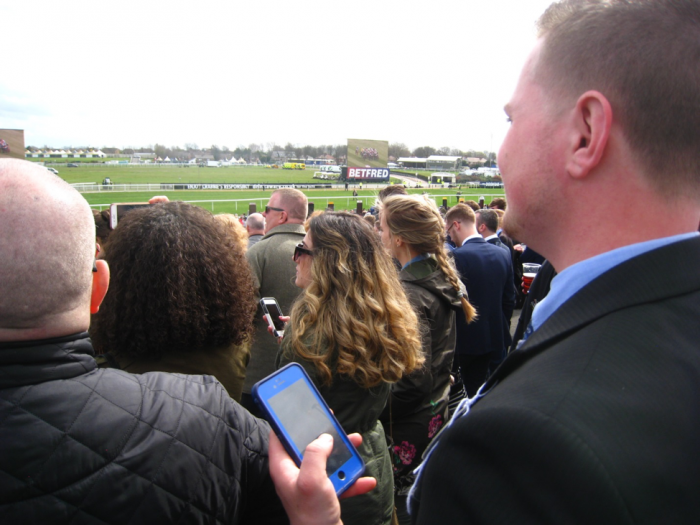 Betting takes place on everything – not just the horses! 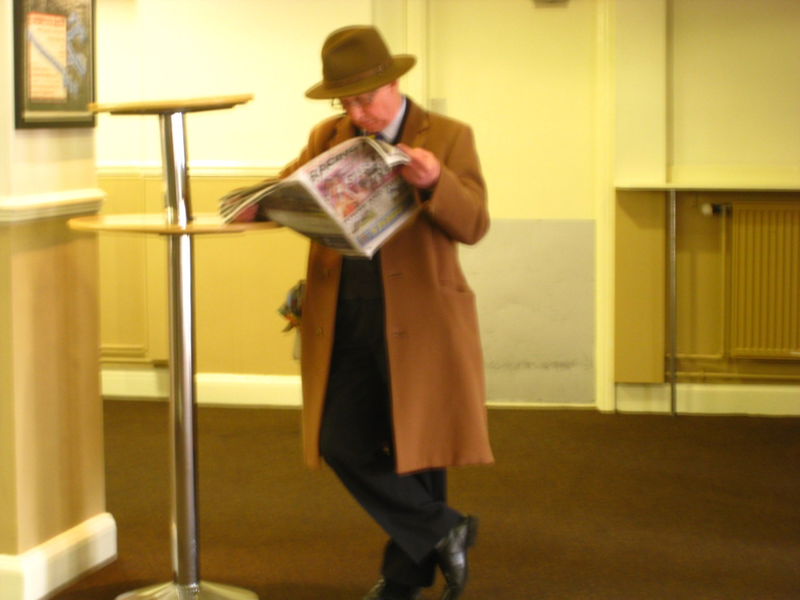 A Soucer reading the race form and planning the bets! 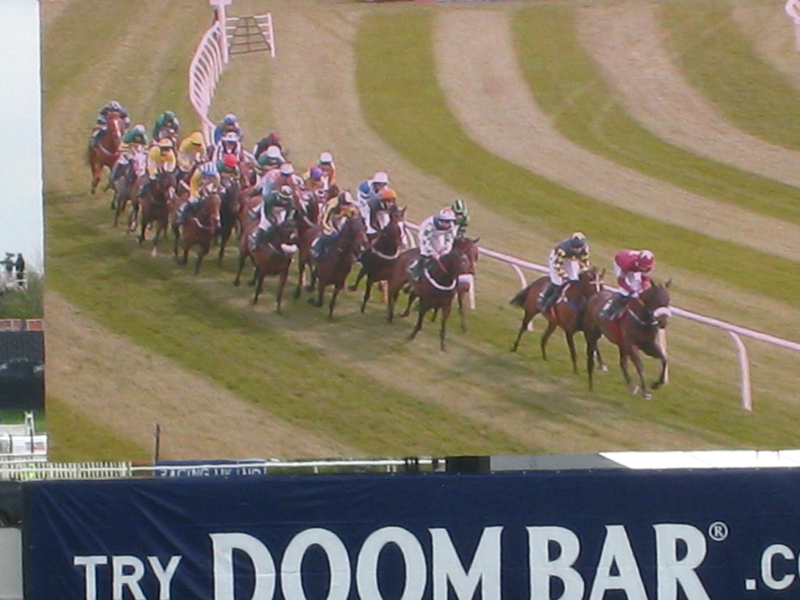 The races are followed on the huge video screens. We have been fortunate to spend two days touring the various museums that have contributed to Liverpool‘s status as a Culture Capital on Europe back in 2008. Most of the museums that we visited are open seven days a week and are free to residents and visitors. 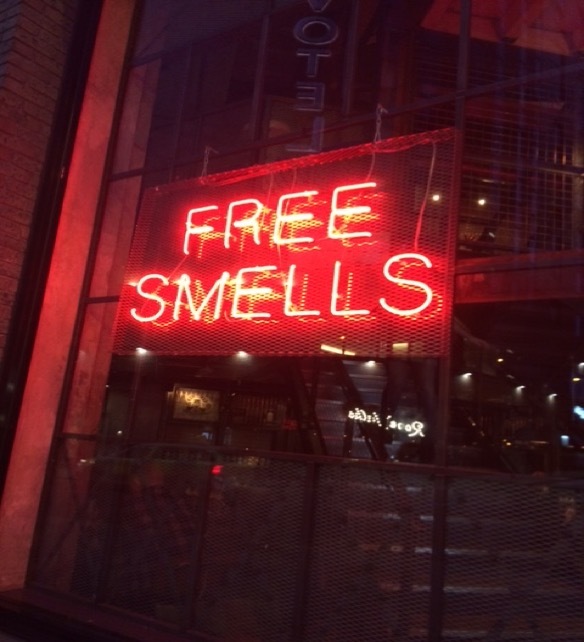 We visited the Slavery Museum which helped us to understand the economic realities that lead to the 150 years of trade between Liverpool, West Africa, the Caribbean and the North American Colonies in the deplorable slave trade. The Tate Museum of Modern Art challenged us to expand our understanding of what constitutes art. 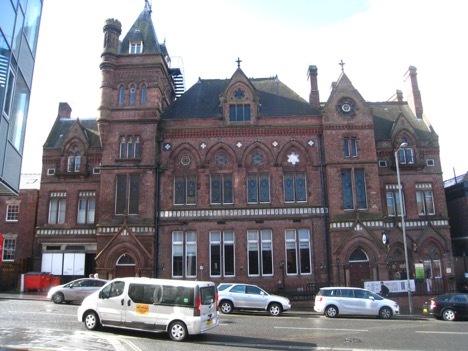 The Liverpool Museum is the largest and most interactive of the museums in the city. From pre-historic times to our modern era, the development, growth and impact of Liverpool on the UK and the rest of the world is presented in a variety of interesting exhibits. Museums are the best way to learn the most about a city like Liverpool in a modern (and dry) setting. 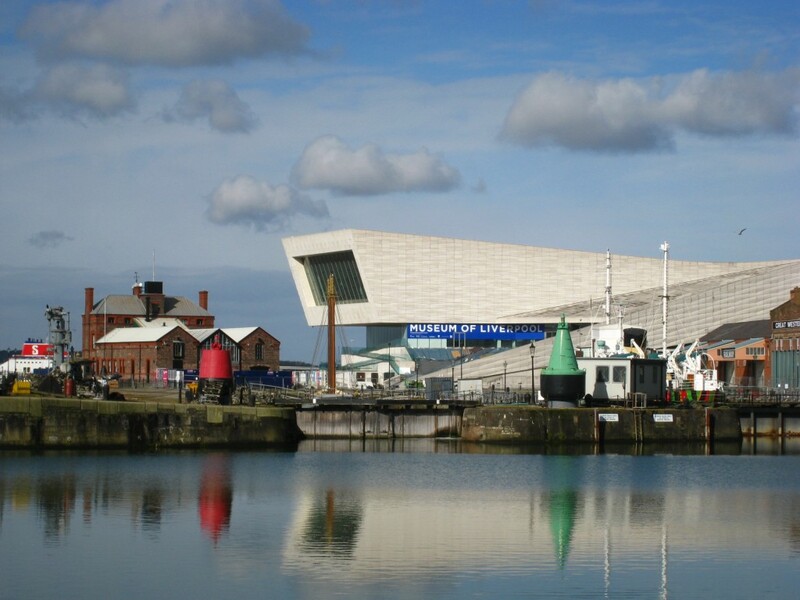 The Liverpool Museum is a perfect example of how contemporary buildings have been added to the 17-18th century dockside scene. 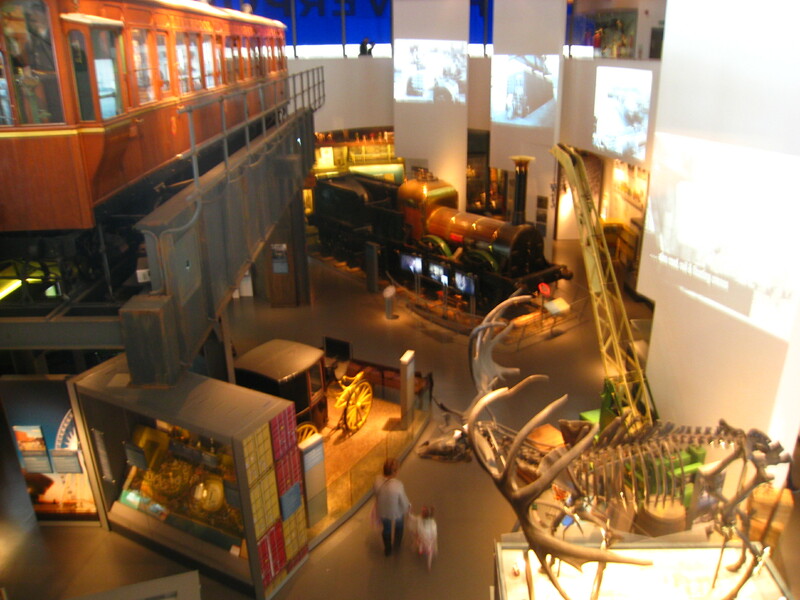 A view of the transportation section of the Liverpool Museum. After a few hours of museum hopping our reward was a trip on the Liverpool EYE. Many european cities have added a ferris wheel to their center city attractions. Despite the fear of heights that a few admitted to, we all took a spin on the wheel, getting a great panoramic view of the city. 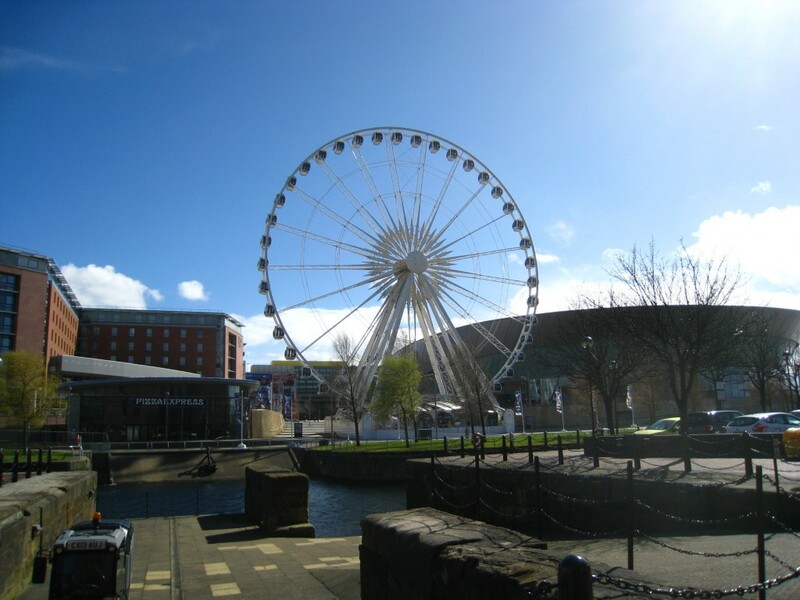 The Liverpool Wheel – a great view of the city from a dizzying height! 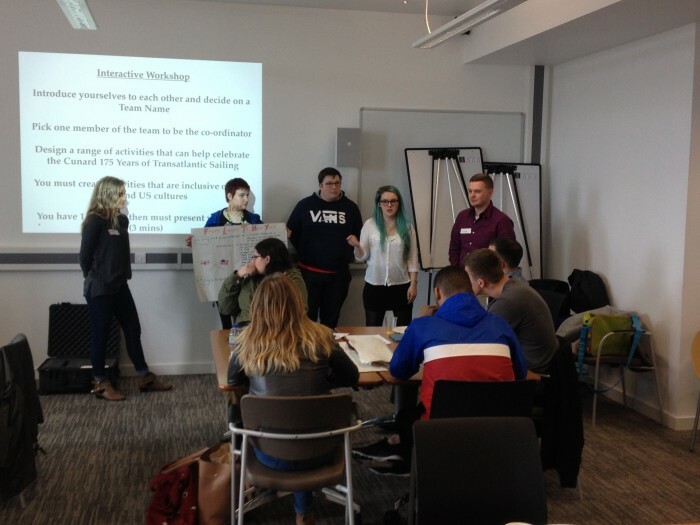 We started our week with a workshop at John Moores University with a group of event management students. Our task was to create a cultural event to take place as students traveled together by ship across the Atlantic from Liverpool to New Haven. The event needed to include elements of each culture that we would like to share during the voyage. We learned of each others favorite foods, music and recreational preferences. What occurred was an hour and a half of learning about each other, finding common interests and learning new things from each other. It was time well spent that resulted in us making plans to meet later that evening for a night out in Liverpool. 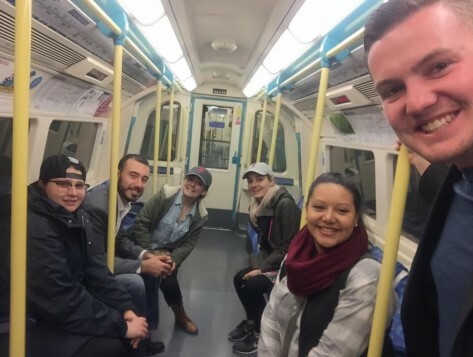 We had a great, late night out and made some new friends that we are sure to stay in touch with over the year. Many of the LJMU students are hoping to come to Southern for the fall semester! After a Hard Days Night, we landed in London not really knowing if it was 3 am (our time) or 8 am (Scouser time). We managed to get through customs without incident and made our way to the “Tube” to catch a train out of Euston Station, London. A very pleasant two hour train ride brought us to Lime Street Station in Liverpool where we were met by our host, Drew Li, a faculty member at Liverpool John Moores University. We arrived at Hatties Hostel on Mount Pleasant St. Our first experience of culture shock was the spartan environment of the hostel. The accommodations are minimal as we had to rent towels and the rooms are cramped at best. There were no mints on the pillows but we did find a zucchini wedged behind the door. 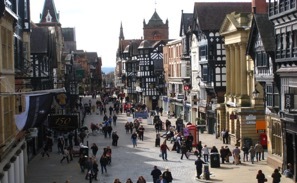 What we are sacrificing in creature comforts is more than compensated by the excellent central location of the hostel,close to all the major attractions and only a block from the Redmond Building of LJMU. We are looking forward to a great week of new friendships and experiences here in Liverpool. Eight students from SCSU are beginning a journey of a lifetime! They will be visiting our new university partner, Liverpool John Moores University, in the legendary city of Liverpool, England. 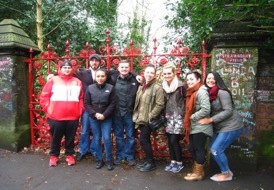 The students will meet their counterparts in the areas of recreation, event and sport management at LJMU as well as visiting many historic and culturally significant sites in and around the city. 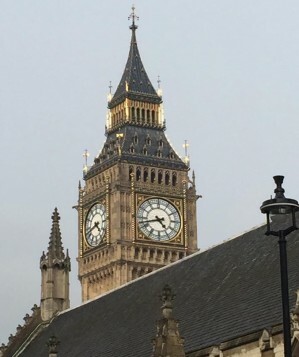 The trip culminates in an overnight visit to London.